The United Kingdom Warehousing Association (UKWA) offers vital support for warehousing and logistics businesses. As a major third party logistics provider, we hold membership with the UKWA who are the leading trade organisation in the UK logistics marketplace. 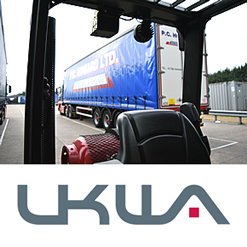 The UKWA assists our business in many ways and operates in a similar vain to the RHA but for representing warehousing and logistics businesses rather than the transport side. The above benefits are only a small selection of the vast amount of services the UKWA offers to full time members like PC Howard. By working with the organisation, we can improve our business, reach new customers and ensure that we meet all the necessary regulations and quality standards dictated by the industry. Our membership serves as a fitting endorsement to our commitment in providing our customers with high quality warehousing and logistics solutions.